Latex: No moistening the flap and no tape removal. 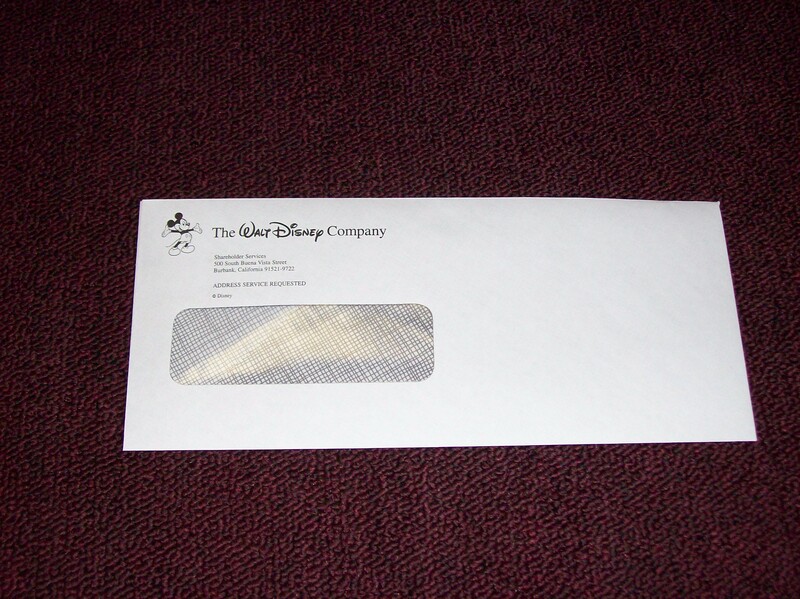 Insert documents and fold flap to seal. 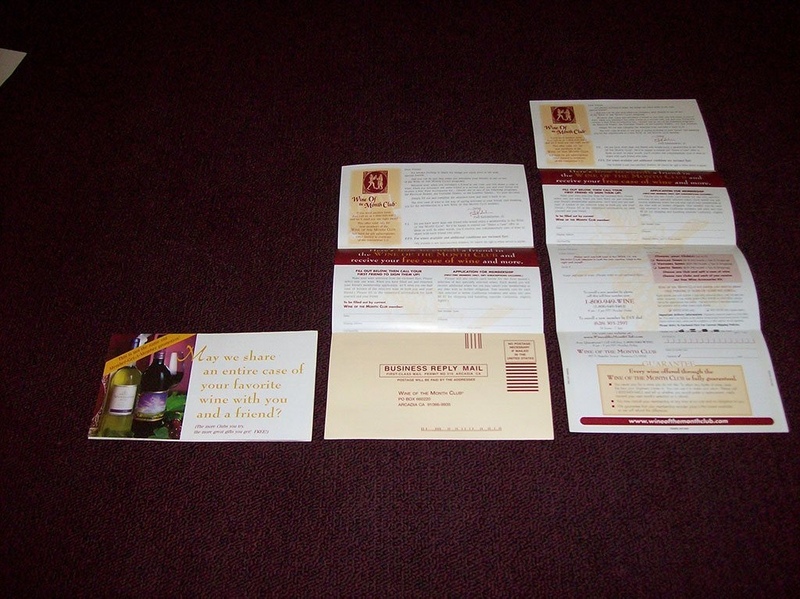 A pocket was permanently glued to create a reply envelope using for this brochure. 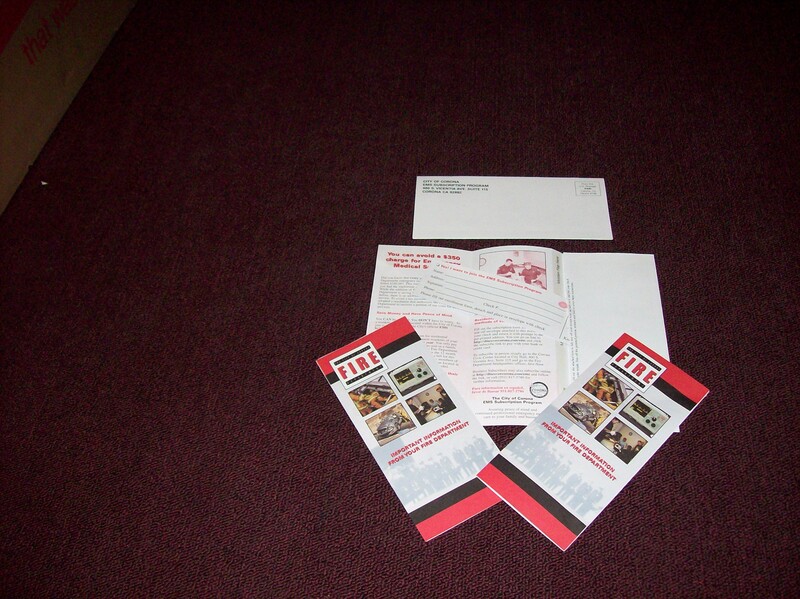 Remoistenable glue added to this brochure so it works as an envelope too. 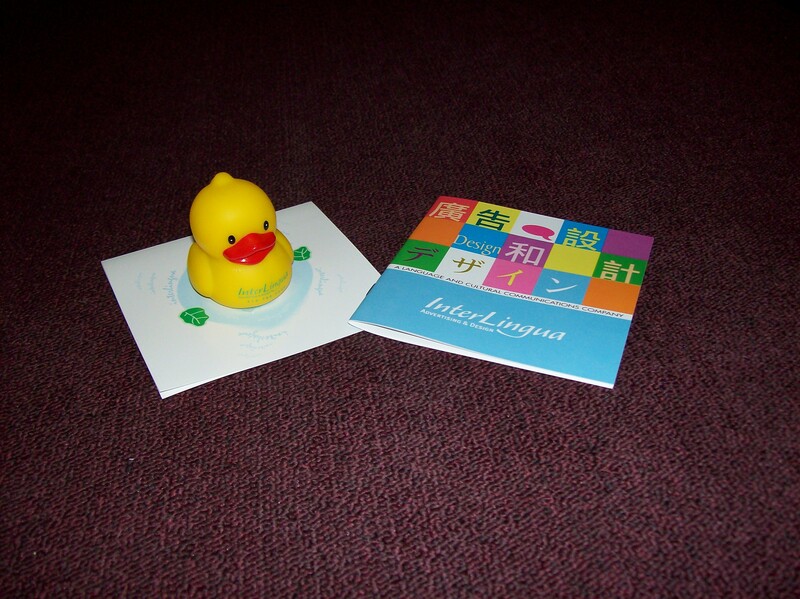 The duck on the greeting card package was hand glued using fugitive adhesive. 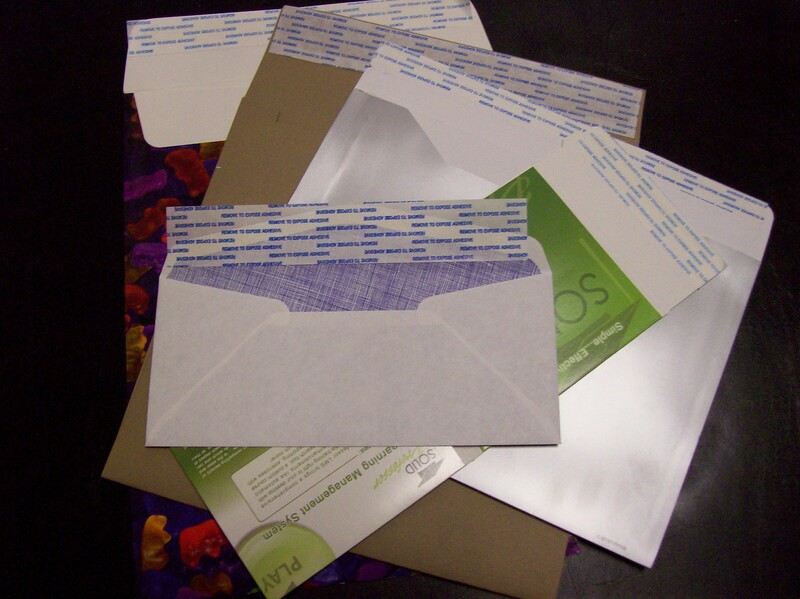 Variety of envelopes with pressure sensitive adhesive, commonly known as taping. Latex (Self Seal) adhesive when applied properly will only adhere to itself without the need to moisten or remove a liner. Simply press the glued areas together to seal. 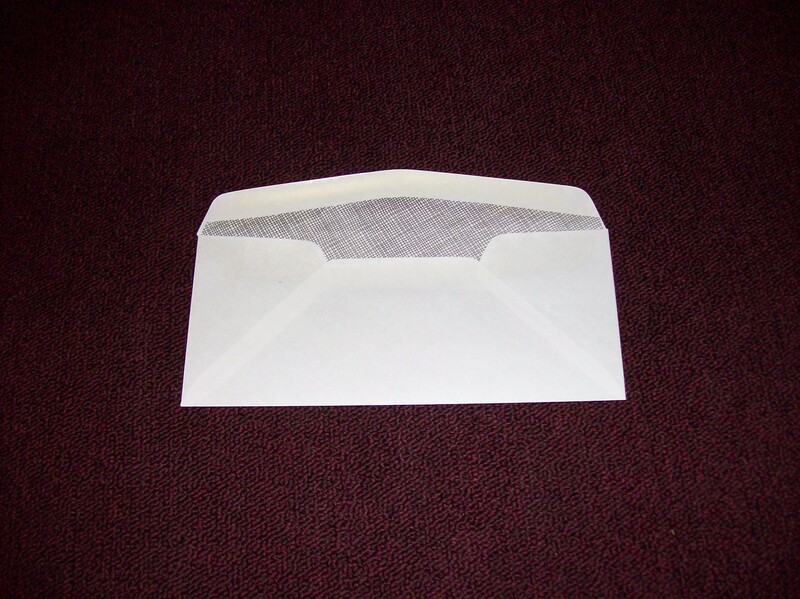 Used widely on envelopes and luggage tags. Shelf life after application is 6 months and should be stored in sealed boxes. Permanent adhesive is used when creating pockets on sheets or welding side seams. It is applied hot and bonds to the paper during the folding process, and is not tacky when cool. 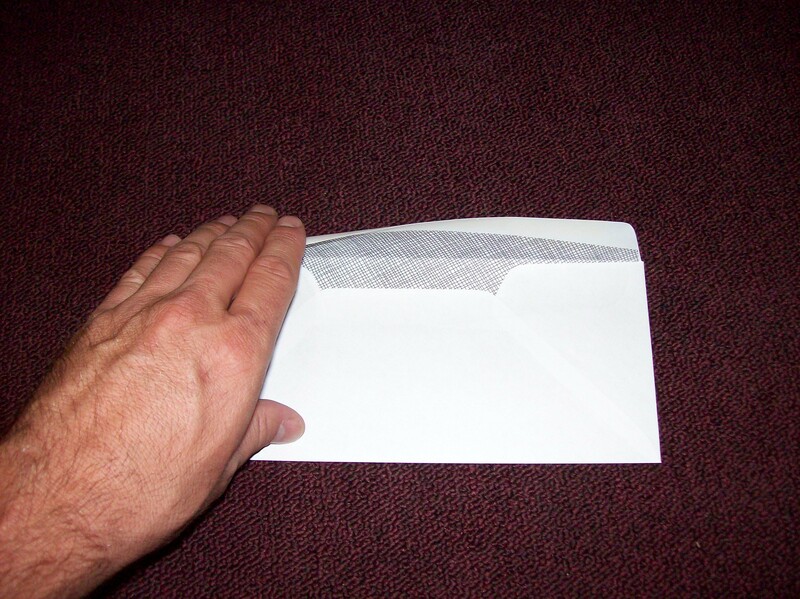 Remoistenable adhesive is used on most envelopes, when the adhesives is moistened it is activated and will bond with the paper to seal. Works well with most light bond paper. Remoistenable gum lines are used in making the M.O.E. 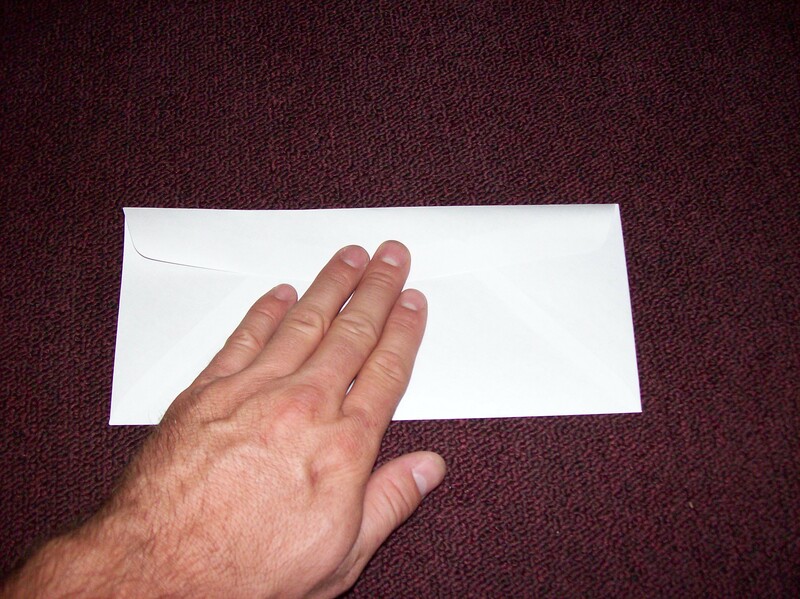 or Bind-In Envelopes where 1 line is needed. 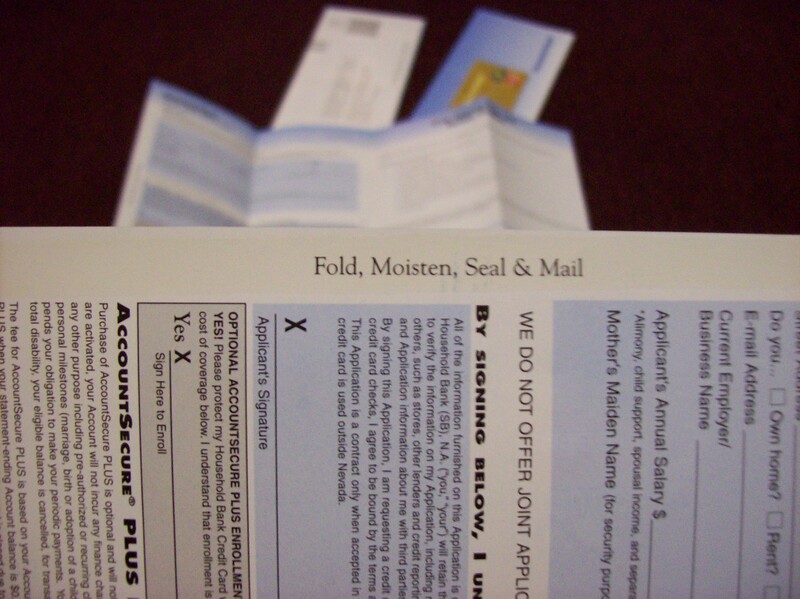 Pattern Gluing creates a U-shaped gum line and when moistened and sealed it creates its own pocket, used for business reply mailers and mail order forms. We run two products, a Cold Application and Hot application and please note that Hot Application Remoistenable adhesives are NOT laser compatible. Fugitive adhesive is clear and removable used to bond cards to sheets during tipping or also used as an alternative to tabbing. Approved by the U.S.P.S. as an alternative to tabbing, this adhesive seals the mail item so that when opened it does not destroy the literature. Can be more economical due to application in-line during the folding process. Pressure Sensitive adhesives are used in the tape application process, called Peel and Seal, Stick and Tack, or Transfer tape. Our in-line process of making tape is more economical and efficient than traditional transfer tapes. 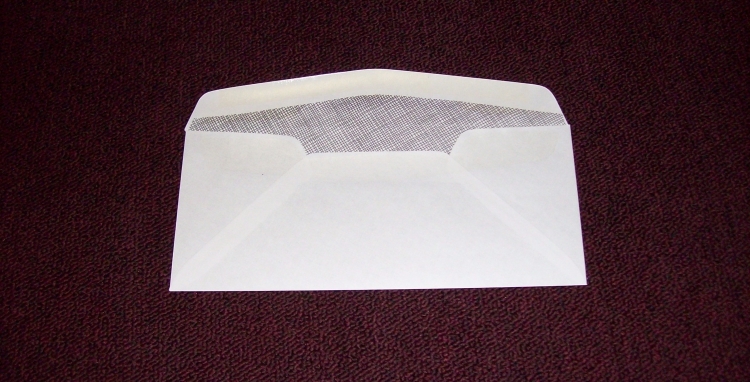 Our Cold Glue application is standard for most envelopes and sheets and can be applied in a pattern to follow a flap or die lines. The Hot Melt application is more aggressive and used with heavier bond paper or coated stock. We also offer the full range of tapes depending on the characteristics needed. See Tape Application for more information.